Experiencing Jazz, Second Edition, is an integrated textbook with online resources for jazz appreciation and history courses. Through readings, illustrations, timelines, listening guides, and a streaming audio library, it immerses the reader in a journey through the history of jazz, while placing the music within a larger cultural and historical context. Designed to introduce the novice to jazz, Experiencing Jazz describes the elements of music, and the characteristics and roles of different instruments. Prominent artists and styles from the roots of jazz to present day are relayed in a story-telling prose. 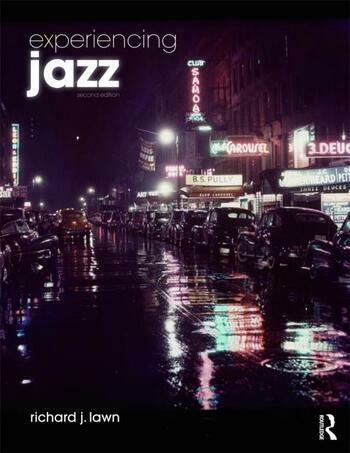 This new edition features expanded coverage of women in jazz, the rise of jazz as a world music, the influence of Afro-Cuban and Latin jazz, and streaming audio. The complete course comprises the textbook and Online Access to Music token, which are available to purchase separately. The textbook and Online Access to Music Token can also be purchased together in the Experiencing Jazz Book and Online Access to Music Pack. Richard J. Lawn recently retired as Dean of the College of Performing Arts at the University of the Arts in Philadelphia. You can see and hear him as saxophonist, composer, and bandleader for Power of Ten, playing in local clubs and on recordings.